Use this Raccoon Ears and Tail Kit to make your own raccoon costume for Halloween. This set includes the fuzzy grey ears which are attached to a black headband. 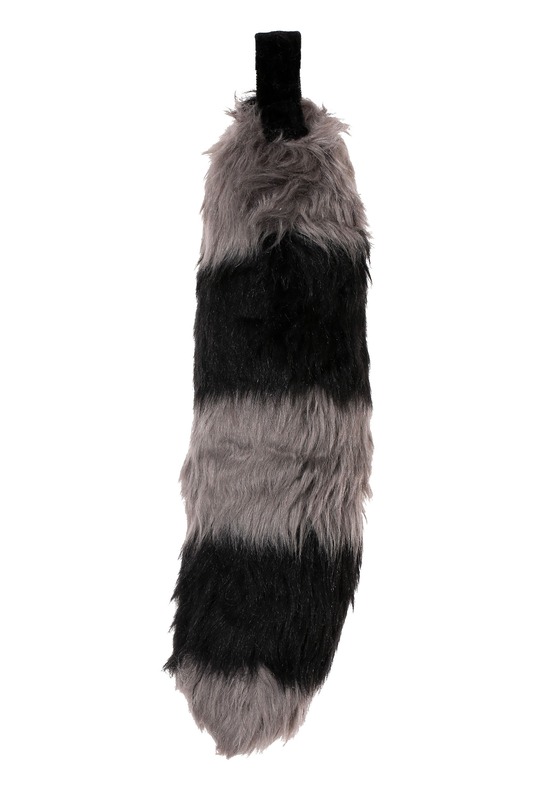 The fuzzy black and grey tail attaches with Velcro. It's a quick, easy and inexpensive costume idea!